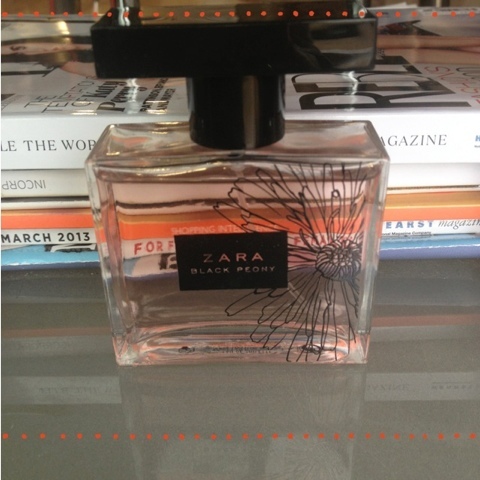 If you’re a fan of the Viktor Rolf Flowerbomb but not the steep price tag then I have a very attractive purse friendly alternative for you- the Zara Black Peony perfume. This is an almost identically smelling dupe for Flowerbomb as they have the same notes of freesia and vanilla. The only difference in smell is Flowerbomb has a slightly stronger scent which probably means it doesn’t last as long- other than that they’re very similar, admittedly the Flowerbomb bottle is prettier but with a price difference of around £40-£50 I know which one I prefer. I find this is such an easy to wear pretty scent that I feel can be worn both day time and evening, which is something your rarely find in a perfume. I believe this is the new bottle as the last one used to be circuluar and as it was a gift from my lovey friend Tara I’m not entirely sure if it’s available in all Zara stores but it’s definitely available online.